Dental implants are the industry-leading approach to attractive tooth-replacement. Unlike dentures, a competing tooth restoration option, dental implants won’t slide around in your mouth as you eat and socialize. Due to their design, the only portion of your implant that your friends will see is your permanent porcelain crown—and don’t worry, we use a shade guide to ensure it blends in seamlessly with the rest of your smile. Our comfortable and convenient dental implants provide Thunder Bay patients with a durable addition to their smile that will last a lifetime with proper care. Beyond superior aesthetic improvement, dental implants are the most cost-effective tooth replacement option available. A dental implant can be broken down into three pieces: the fixture, the abutment, and the porcelain crown. The implant fixture is surgically placed on your jawbone, functioning as the root for your new replacement tooth by holding the implant in position. Due to the fixture’s titanium composition, your jawbone will fuse to it through a process called osseointegration. The abutment rests on top of the fixture and acts as the connector that holds the other two pieces together. Dr. Chow will attach the abutment once your jawbone has fully adjusted to the implant fixture. The third and final part of the implant is the crown. This porcelain structure is secured to the abutment and is the only visible piece of the implant. Our crowns are customized to fit the shape, size, color, and strength of your natural teeth. Your overall health is directly linked to your oral health. This matters because if you’re missing even one tooth, you could increase your risk of developing serious medical conditions such as strokes, heart disease, osteoporosis, Alzheimer’s disease, and diabetes. In addition to affecting the rest of your body, tooth loss can cause dental complications like jawbone depletion, gum disease, and more. 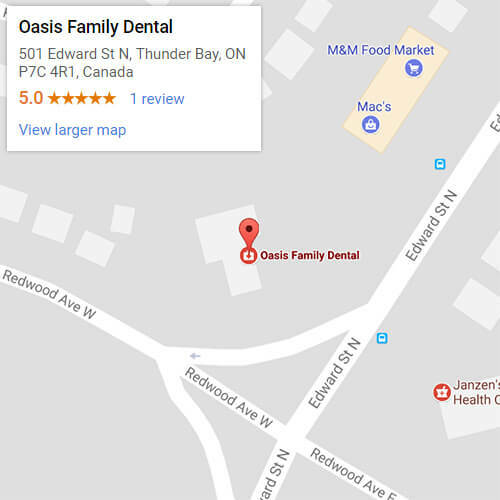 At Oasis Family Dental, we can help you love your smile again—boosting your confidence and self-esteem—with dental implants. Due to technological advancements in implant dentistry, dental implants are available to more patients than ever before. 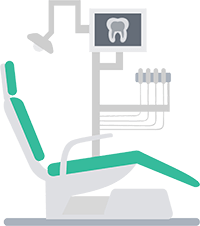 However, there are a few situations that need remedying before you can continue the implant process. For example, patients who suffer from cavities and gum disease can be treated quickly, while patients who are pregnant or under the age of 18 will need to wait until Dr. Chow clears them before continuing. Your free consultation with Dr. Chow: The first step in the process is to schedule your no-obligation consultation with your Thunder Bay dentist, Dr. Chow. 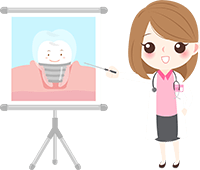 She’ll perform a dental examination and recommend the ideal treatment plan for your unique smile. Implant Surgery: Dr. Chow will surgically place the implant fixture on your jawbone, initiating the healing and osseointegration processes. Placing the abutment and crown: After allowing ample time for your jawbone to adjust to the implant fixture, Dr. Chow will attach the abutment to the permanent porcelain crown restoration. The easiest way to find out if dental implants are ideal for your smile is to meet with our qualified implant dentist, Dr. Chow. You can contact our Thunder Bay office by calling 807-700-1383 to schedule a consultation. Alternatively, you can fill out the submission form and we’ll get back to you as soon as possible.